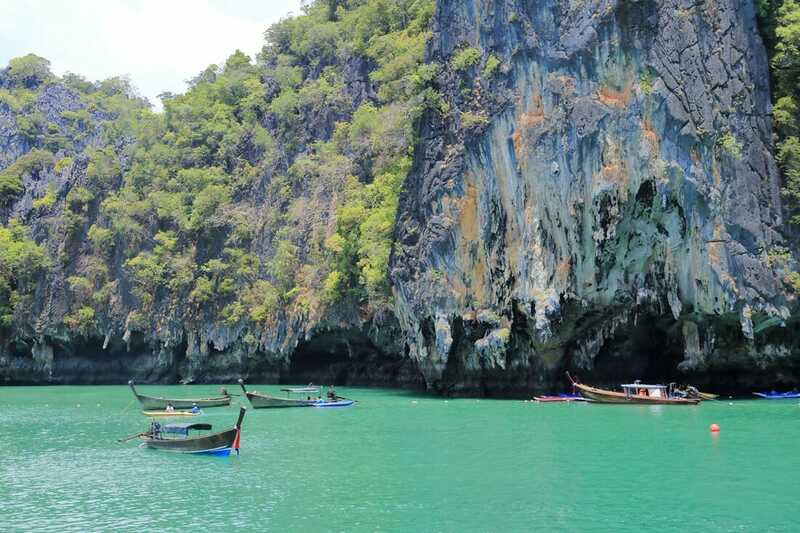 Looking for some unforgettable day trips in and around Phuket that aren't overcrowded? 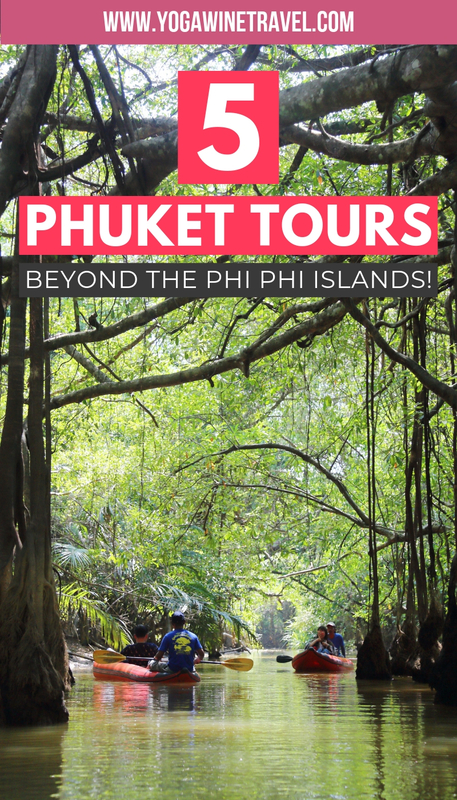 Read on for a handful of Phuket day tour ideas to get you started! Phuket is located in southern Thailand and is one of the most popular beach destinations in the country – and for good reason! It has more beaches than you can poke a stick at; offers a buffet of accommodation options including some of the world’s most luxurious hotels; is a UNESCO Creative City of Gastronomy with a rich culinary heritage; and is easily reachable via Phuket International Airport which receives international flights from all around the world. As Phuket is a short flight away from Hong Kong, I have traveled there a number of times with family and friends but the last time I was there was in 2009. Since then, I’ve opted to forego Phuket in favor of exploring new destinations such as Chiang Rai, Chiang Mai, Koh Samui and Ayutthaya. 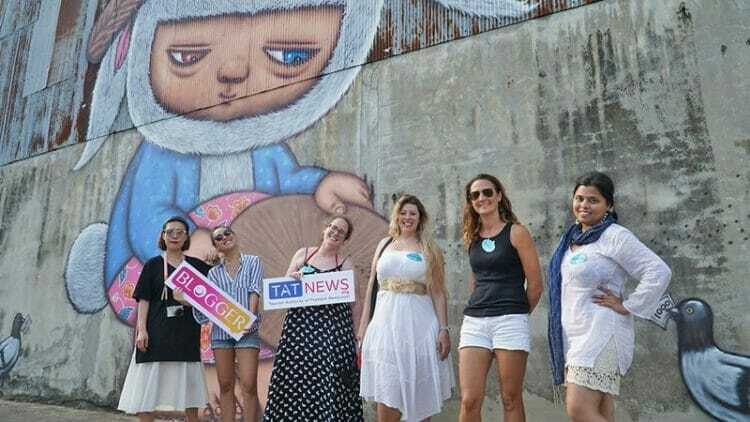 But as fate would have it, I had the pleasure of re-visiting Phuket earlier this year with the Tourism Authority of Thailand to explore some of the lesser-known highlights in and around the city. When I was last in Phuket, I vividly remember thinking to myself, “goodness gracious how is it so dang crowded?” And that was a decade ago! Since then, Phuket visitor numbers have only picked up. 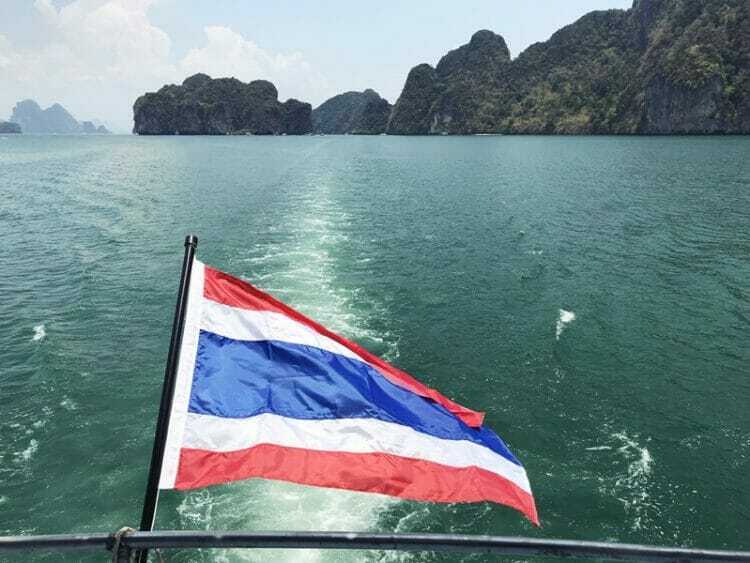 While a surge in tourism is fantastic for local businesses and tour operators, it has been detrimental to some of Phuket’s most famous natural wonders including the Phi Phi Islands. These islands off the coast of Phuket are a short 45-minute boat ride away and feature towering karst formations, fine white sand beaches and rich marine life. Excuse the blurry photos, these were taken 10 years ago! 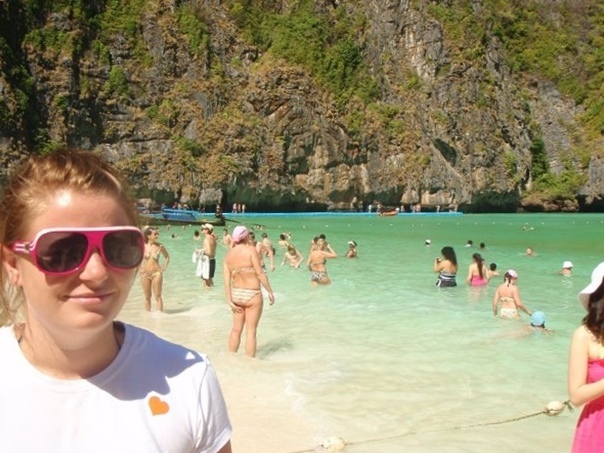 I went on a Phi Phi island day trip in 2009 and while there’s no denying that the views are breathtaking, it was equally overwhelming with bays packed to the brim with speedboats and speedo-donning tourists. Be prepared to be photobombed by a million fellow visitors! 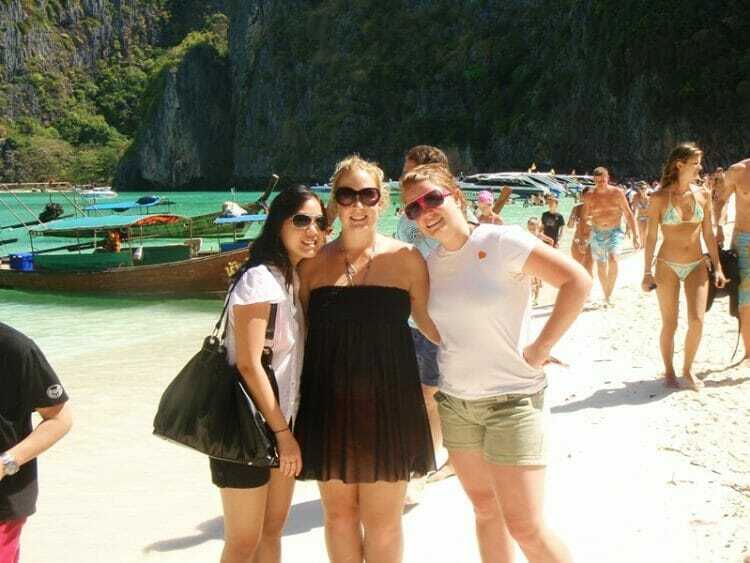 The good news is, visiting the Phi Phi Islands is but one of many, many Phuket day tour options. If you are visiting Phuket and the idea of being on a beach like this makes you want to cancel your flight and curl up in a corner with a bottle of wine, don’t fret! You can get off the beaten track in Phuket if you know where to go – read on for some of the best Phuket tours that will take you away from the crowds. Thailand tourist visa policy: Thailand currently offers visa-free travel to nationals of nearly 60 countries. Visitors from ASEAN or Western countries, including most European, Commonwealth, and North American citizens, are not required to have a Thai visa for visits less than 30 days in Thailand. More information here. To get into Phuket you can either fly directly to Phuket International Airport (airport code: HKT) or via Bangkok. The currency in Thailand is the Thai Baht. The exchange rate is approximately US$1 to approximately 32-35 Baht. Cash is king in Thailand so exchange some money when you arrive at the airport or withdraw cash from an ATM. Stay connected and buy a local SIM card at the airport. I usually go with DTAC and get excellent connectivity throughout Thailand. You can purchase your DTAC SIM card ahead of time and pick it up at Phuket International Airport – get 50% off your 8-day DTAC SIM card by clicking here! Click here for more deals in Phuket – get discounted attraction tickets, transportation services and more! Click here for even more Thailand travel guides and tips or head on over here for 10 essential Southeast Asia travel tips. Whether you are traveling solo, as a couple or with family, I recommend checking yourself into the Angsana Laguna Phuket on Bang Tao Beach on the west coast of Phuket. I’ve actually stayed here on multiple occasions back when it was the Sheraton Laguna Phuket (the property was rebranded in 2012) and have fond memories of frolicking on the beach with my brother, swimming in the hotel’s 300-metre pool and sipping cocktails in the lobby lounge. The sprawling property is one of Phuket’s biggest resorts with nearly 400 rooms with another 400 currently being built, yet still manages to retain a laid back and boutique atmosphere. The spacious rooms offer a garden, pool, lagoon, golf course or ocean view, and are equipped with free wi-fi, an outrageously comfortable bed, television, mini bar and other standard amenities. 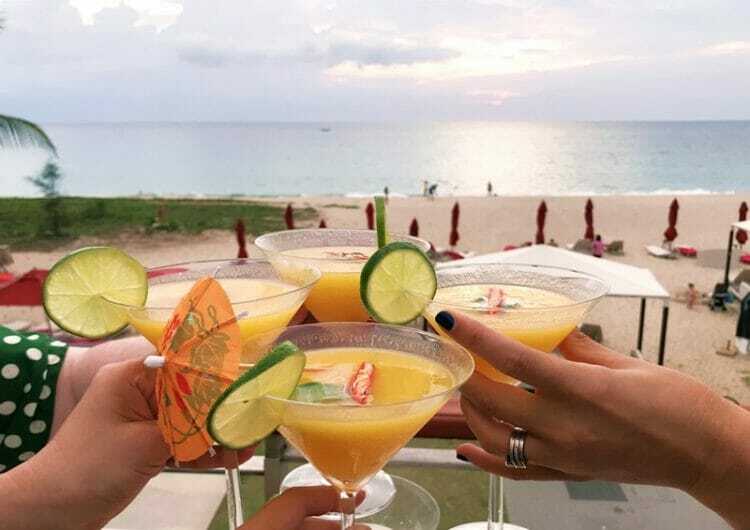 Angsana Laguna Phuket offers 5 restaurants (including the XANA Beach Club) and a bar lounge, which means you’re spoiled for choice when it comes to dining options. 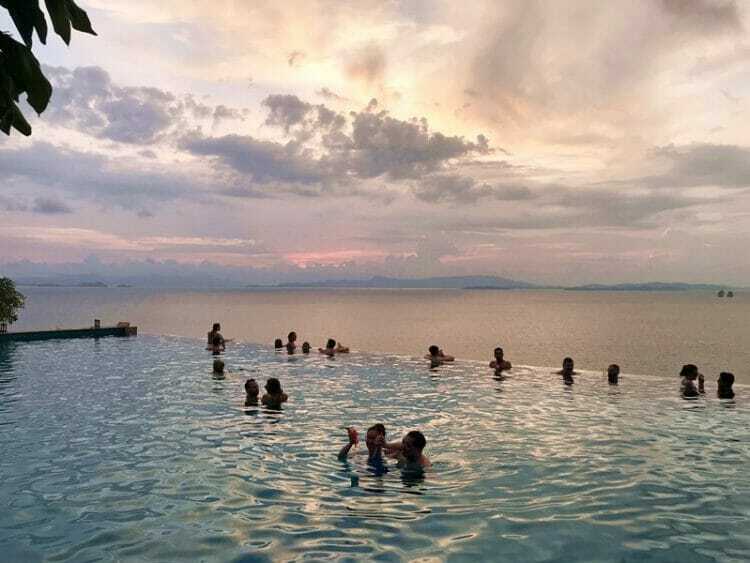 My personal favorites include Baan Talay, the onsite Thai restaurant, and XANA Beach Club for sun-downers – as the hotel faces west you get to watch the sunset over the ocean and horizon. Angsana Laguna Phuket has an in-house spa with 12 rooms offering a variety of massage styles and treatment options – make sure you try their signature Angsana massage which focuses on your body’s key pressure points. There is also a gym, in-house Yoga instructor and water activities centre if you want to go kayaking or sailing across the lagoon. 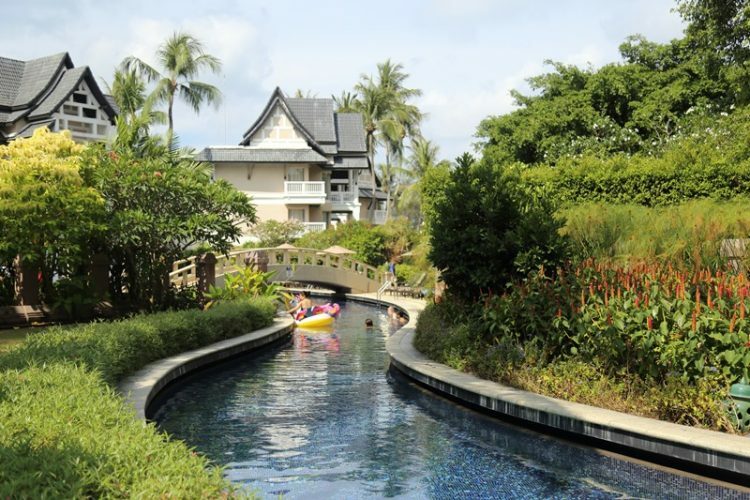 Families traveling with young children will be thrilled to know that Angsana Laguna is home to one of Phuket’s largest kid’s centers so the little ones will never be bored. Click here to check current availability and rates at Angsana Laguna Phuket! If you are visiting during the peak travel months (November to about March) or during a major holiday in Asia (Easter, school holidays, Chinese New Year, Christmas and New Year’s) make sure you book your Phuket accommodation in advance, or head on over here to check out some other highly rated accommodation options in Phuket. I recommend staying on Bang Tao, Surin or Kamala Beach. 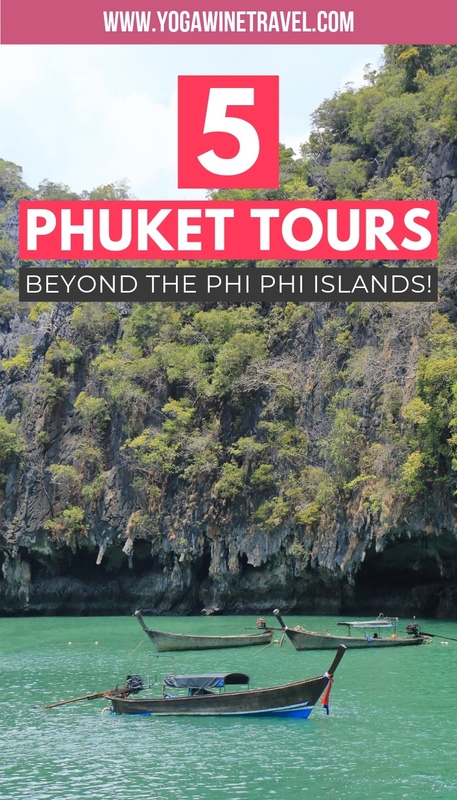 Though a Phi Phi Island tour is one of the top things to do in Phuket, there are a plethora of Phi Phi Island alternatives if you, like me, despise hordes of people. If you’re looking for the best day trips from Phuket or tours in and around Phuket, read on for a handful of ideas to get you started! There’s more to Phuket than beaches and clubs! Before it was Thailand’s go-to island destination, it was a tin-mining town and hub for maritime trade. Chinese immigrants from Fujian province braved the rough seas in search for new opportunities in what was once known as “Thalang”. 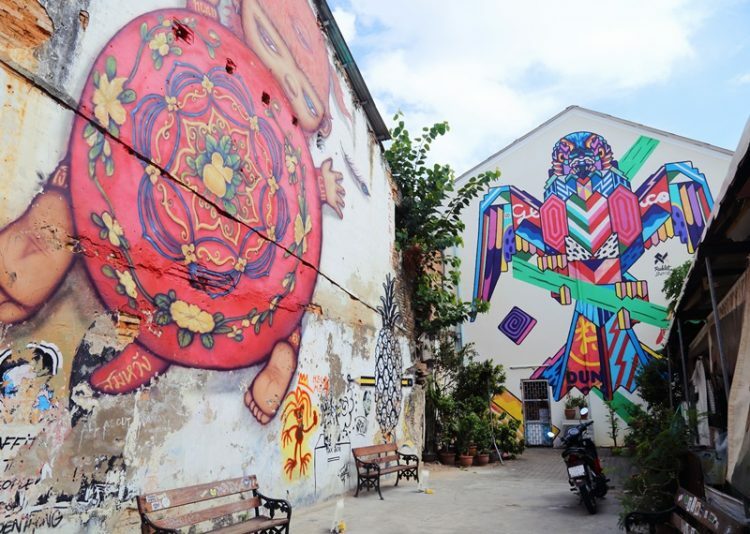 Today, Phuket Old Town showcases spectacular Sino-European architecture, funky street art, galleries and a fascinating heritage museum. 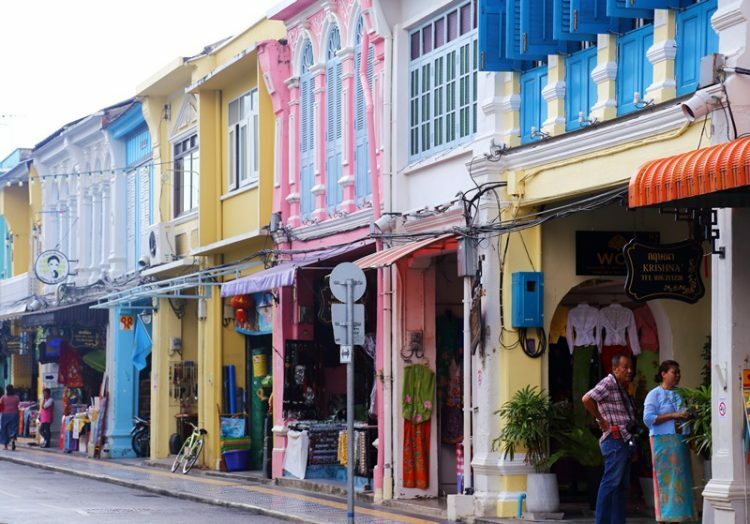 Go on a walking tour around Phuket Old Town to learn about the rich Peranakan (meaning, “born here”) culture, architecture, food and history. 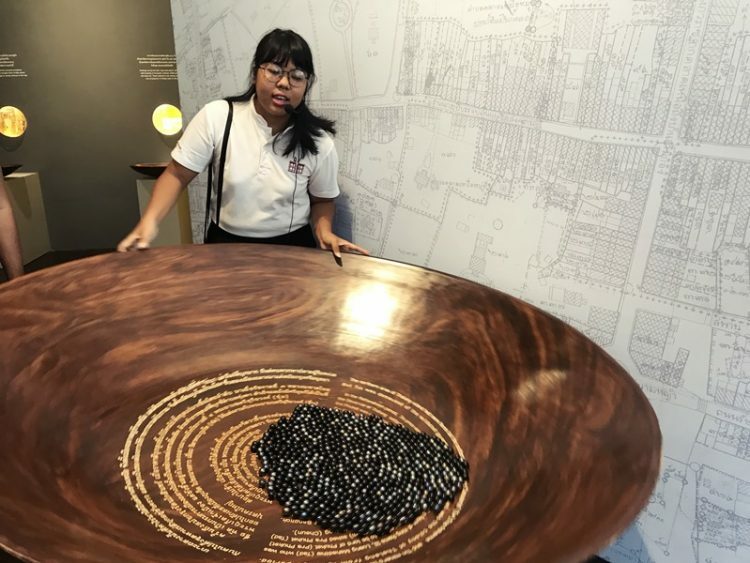 The Phuket Old Town Community hosts daily walking tours that take you to a gallery featuring traditional architecture and design, Phuket’s last functioning iron factory, a traditional Peranakan home and more. I was blown away by the hospitality and warmth of the Phuket Old Town community. The Peranakan people have lived in Phuket for 5 generations and graciously opened their doors, homes and businesses to us. One lady even serenaded our group with an old Chinese love song! 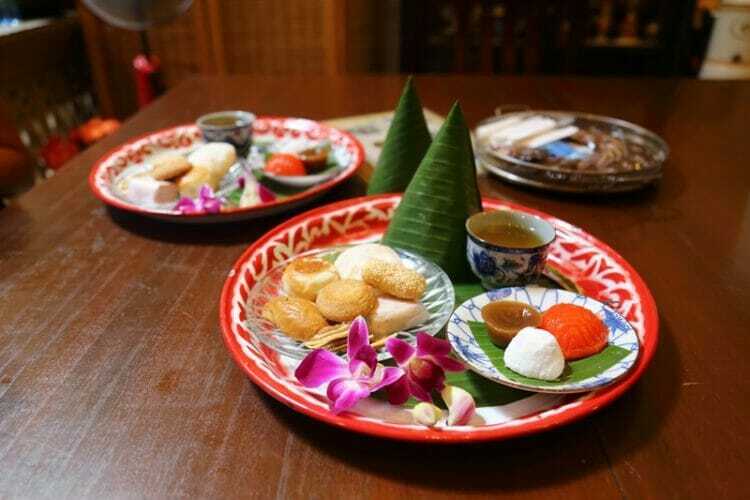 This Phuket Old Town walking tour offers visitors the unique opportunity to speak to and interact with local residents who are passionate about their culture and history – make sure you bring an appetite so that you can try all the traditional Peranakan sweets! Phuket Old Town is one of the most underrated Phuket tourist attractions, and a wonderful neighborhood to explore if you only have 2 to 3 days in Phuket. The walking tour runs daily, takes approximately 4 hours and costs 1000 Baht per person. Email [email protected] to book as they don’t appear to have a functioning website at this time. There are many islands to visit from Phuket, but the Koh Yao Islands are easily reachable by a 30-minute speedboat ride from Bang Rong Pier. These idyllic sister islands in Phang Nga Bay offer a glimpse into what Phuket would have been like decades ago, and offer a peaceful retreat away from the busy shores of Phuket. 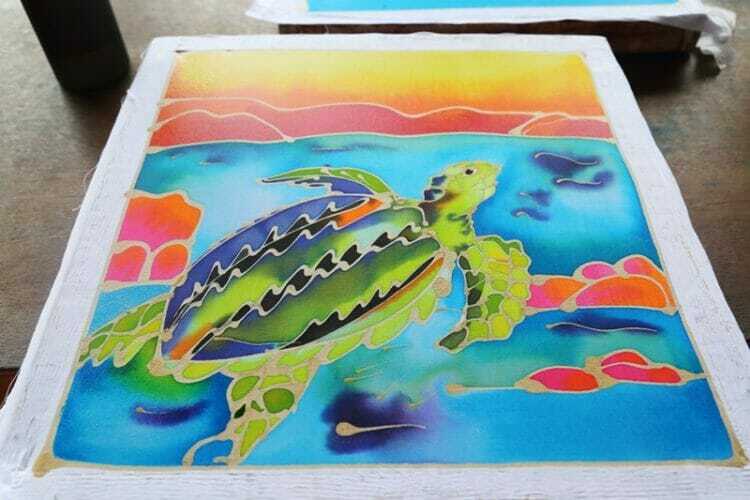 Don’t miss out on trying your hand at batik painting on Koh Yao Noi, and sign up for a community-based tourism tour of Koh Yao Yai where you can learn pandan mat weaving, visit a lobster farm, and stroll down a pristine sand bar. 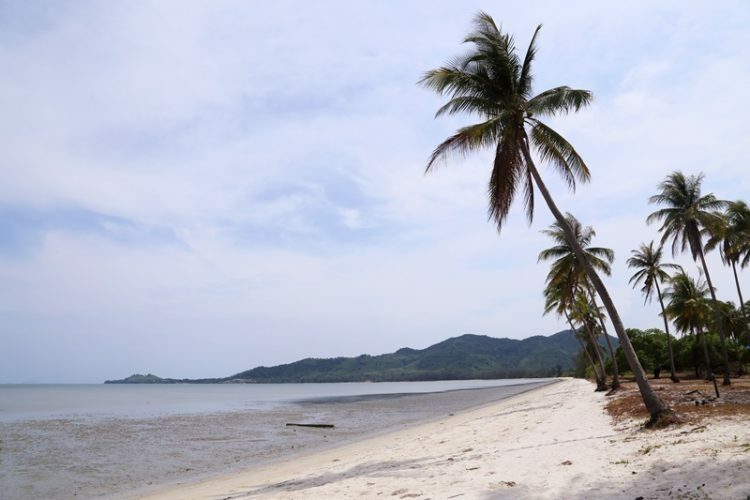 You can learn more about community based tourism on Koh Yao Yai here. When you’re on these two islands you should be mindful that the majority of the residents are Muslim so dress appropriately when you’re walking around the local villages. Though the Koh Yao Islands are an easy day trip from Phuket, you might want to stay overnight and check out one of the region’s best luxury hotels: the Santhiya Koh Yao Yai. This spectacular beachfront resort on Koh Yao Yai offers jaw-dropping views, spacious and Bali-esque rooms, fantastic cocktails and quite possibly the most amazing infinity pool I’ve ever swum in. Just. Look. At. This. 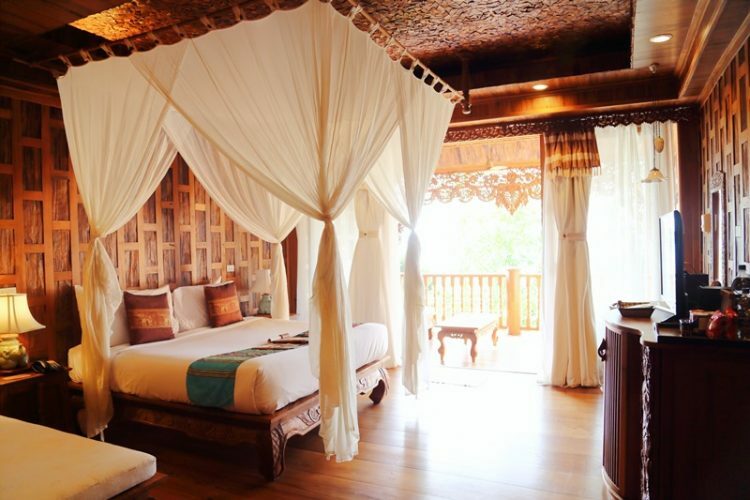 Click here to check current rates and availability at the Santhiya Koh Yao Yai! You might be wondering, “where is Phang Nga?” Well, Phang Nga province is located immediately north of Phuket and is home to Phang Nga city, Phang Nga Bay (AKA Ao Phang Nga National Park), Koh Yao Noi and Koh Yao Yai, Khao Lak, the Similan Islands and more. Phang Nga is one of the best places to visit near Phuket and is an easy day trip destination with far fewer tourist crowds. Phang Nga city is an underrated little town that you can explore via a songthaew, an open pick-up truck. 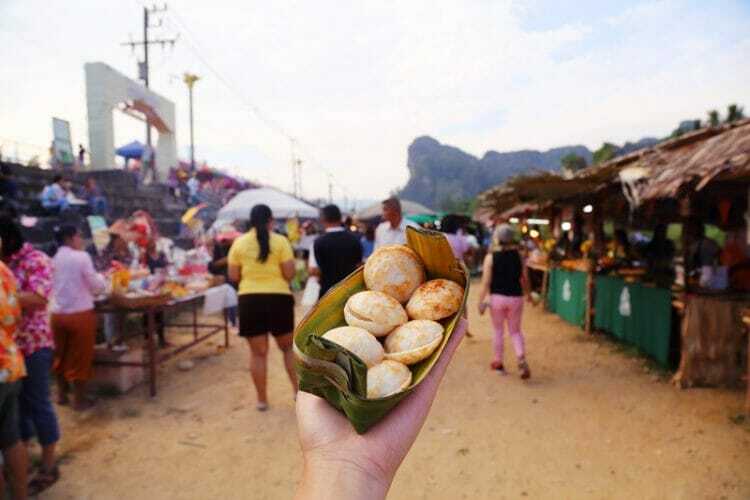 See the local lifestyle in this up-and-coming city – learn about Phang Nga’s history at the city hall and museum, check out fresh street art, try your hand at making Tao Sor (a local dessert) and feast on Thai street food at a night market by Phang Nga River. 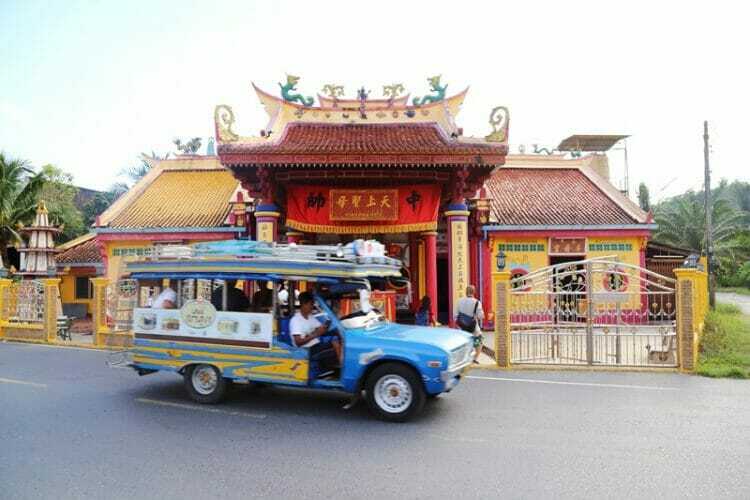 Book the songthaew tour via their Facebook page here or call 081-7877273. 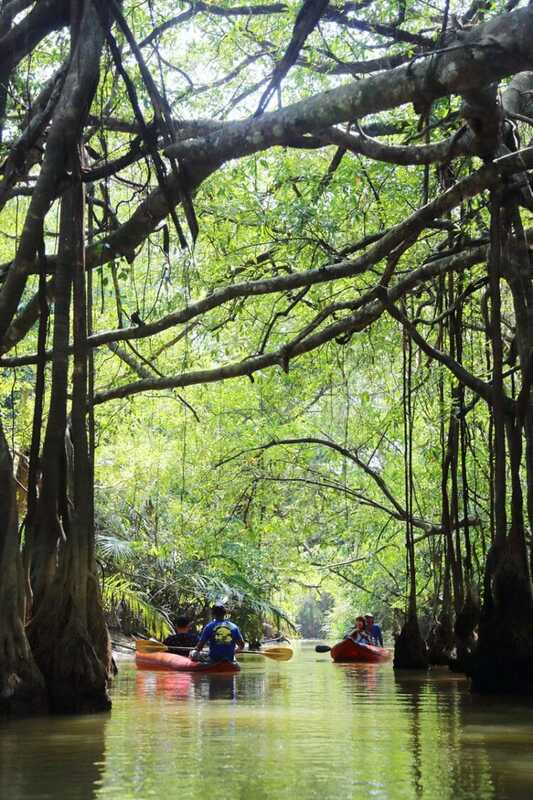 It’s one of the best things to do in Phang Nga! 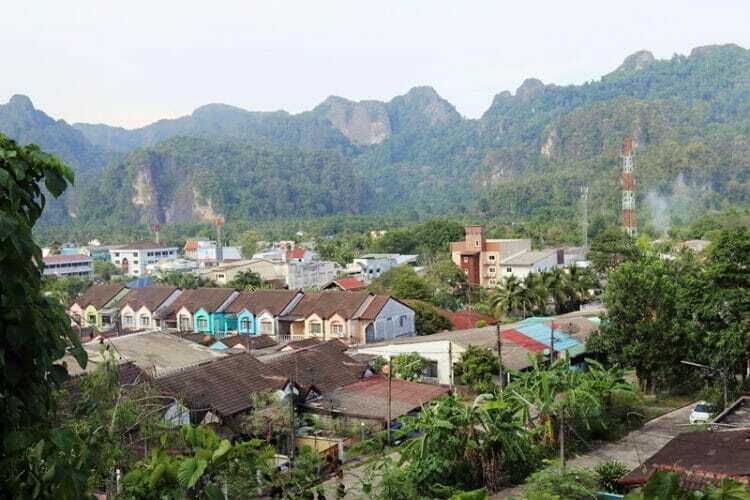 Have more time in Phang Nga? 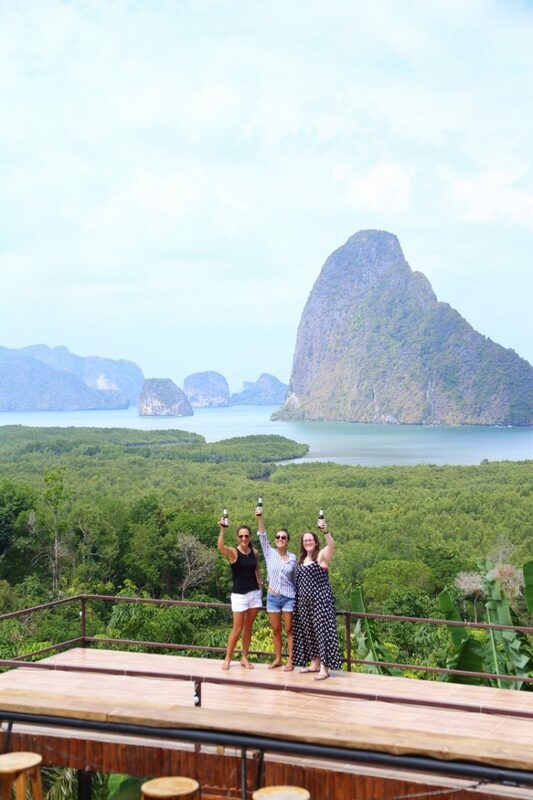 Make sure you visit the Samet Nangshe Boutique view point which offers panoramic views across Phang Nga Bay – there’s a restaurant and bar there which makes it the perfect place for a cold beer on a sweltering day. To the north of Phang Nga province is Klong Sang Nae, or “Little Amazon” – you’ll understand why it’s named this way as soon as you see it! 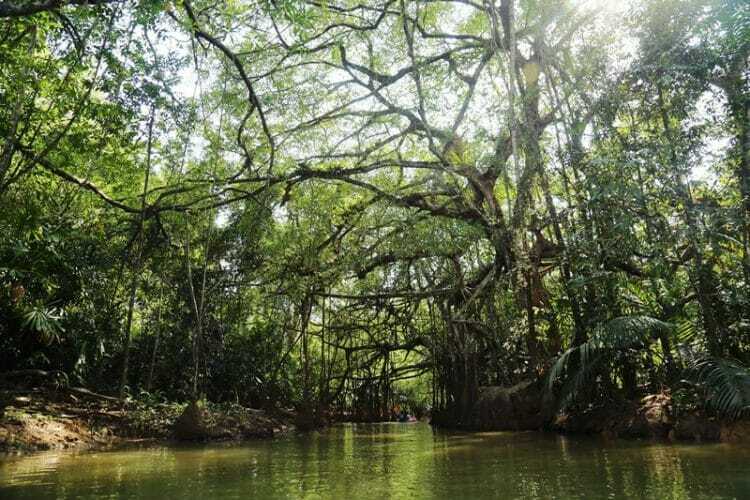 The lush mangrove forest features 200 year-old networks of towering banyan trees and native wildlife. 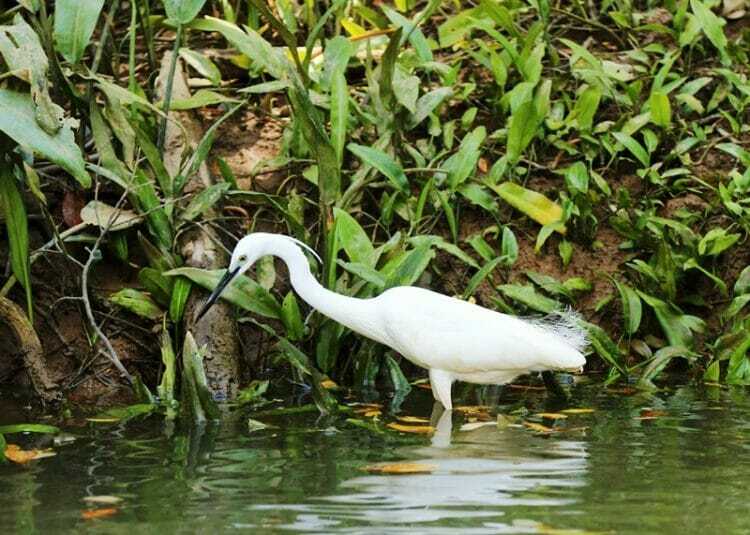 Nature lovers absolutely cannot miss the opportunity to explore the peaceful canal that winds and weaves through the mangrove. Hop on a small kayak with your local guide – they do all the paddling while you lay back, put your feet up and bask in the unspoiled landscape. Keep your eyes peeled for monkeys, birds and even snakes! Little Amazon tours run daily and last approximately 1 hour – tours can be booked via your hotel or via their Facebook page. Phang Nga Bay is a national marine park with wondrous karst islands similar to the ones you find in Halong Bay and Lan Ha Bay in Vietnam. Phang Nga Bay is one of the more popular day trips from Phuket but you can avoid the crowds if you get an early start. 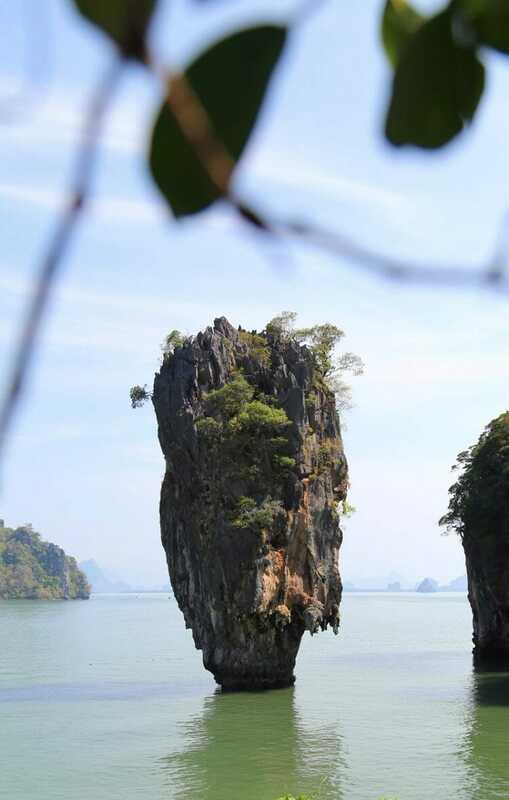 Two of the more famous spots in Phang Nga Bay include James Bond Island (or Koh Tapu) which was featured in the James Bond movie, “The Man With the Golden Gun”, and Koh Hong. Large tour groups descend upon James Bond Island at approximately 9:30 AM, so head there early in the morning to get it all to yourself. 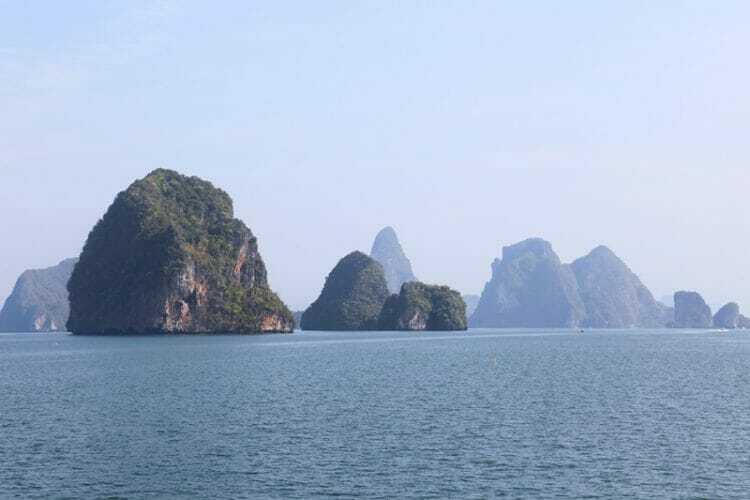 Once you’ve had a chance to check out the vertical islet, cruise over to Koh Hong to kayak through caves and hidden lagoons – there’s even a Scooby Doo-shaped rock that juts off the cliff face of one of the towering limestone structures! 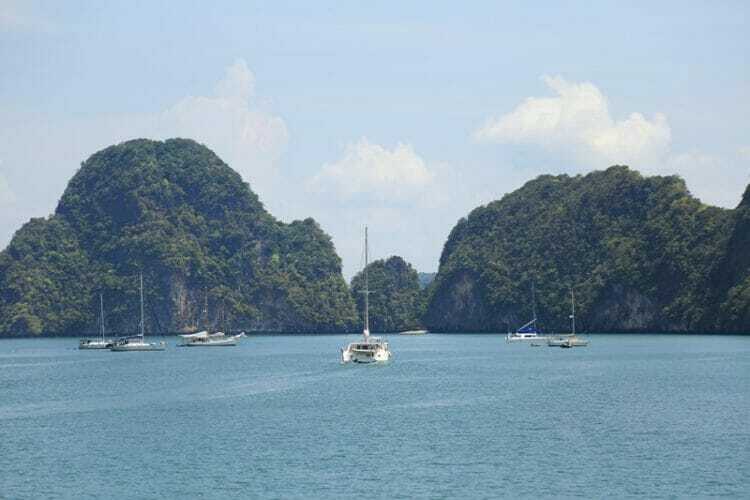 I went on the Phang Nga Bay James Bond Island tour with Silver Hawk Group – their two-storey wooden boat is clean, spacious and the food is out of this world. 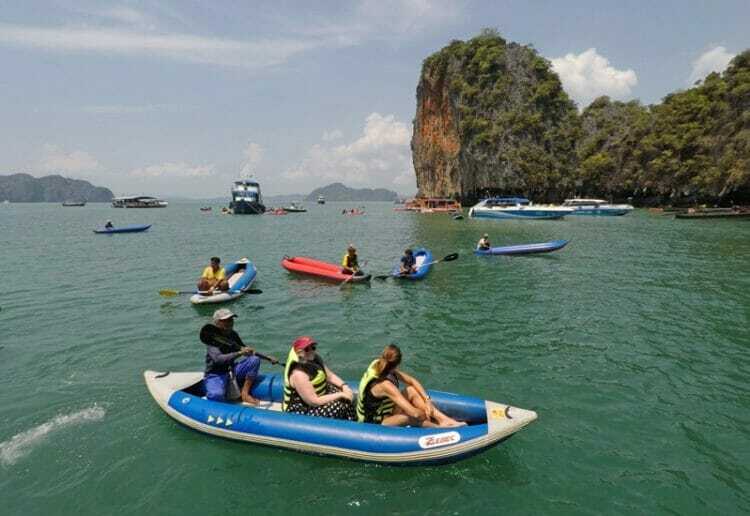 Book direct with Silver Hawk or check out some other Phang Nga Bay tour options via Klook here. 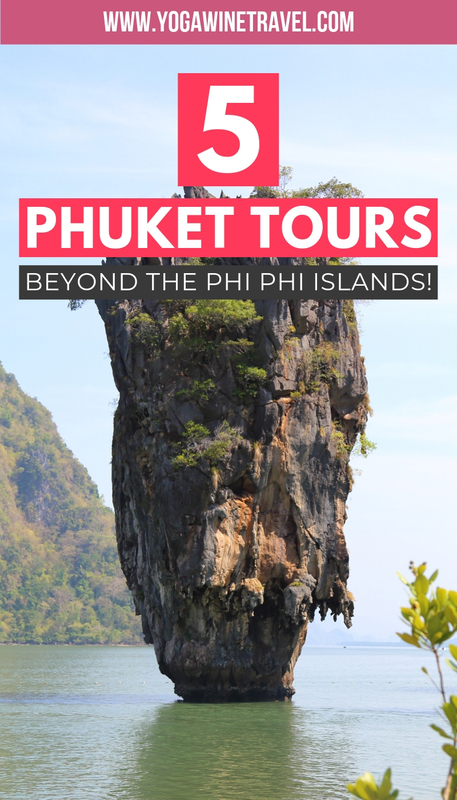 This is just a handful of Phuket tours to get you started. 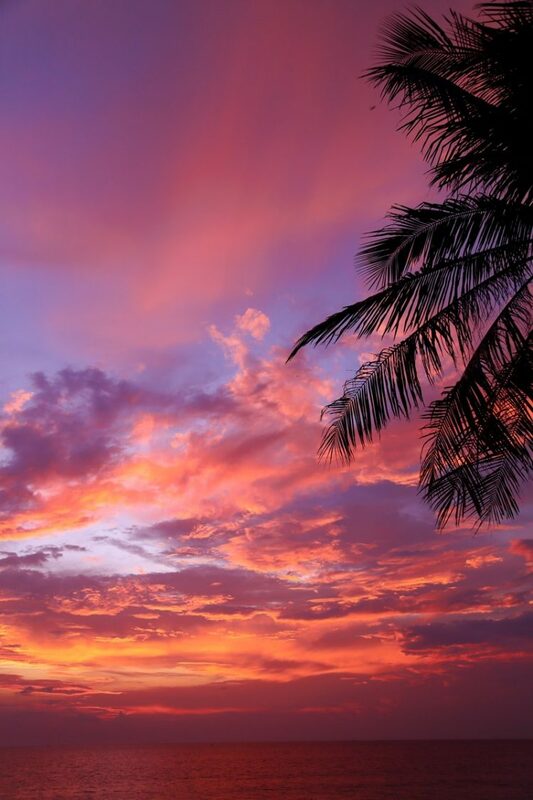 Have more time in Phuket? You might want to check out Khao Lak National Park, Khao Sok National Park in the neighbouring Surat Thani province or the Similan Islands in Phang Nga province. Ready to book your Phuket trip? 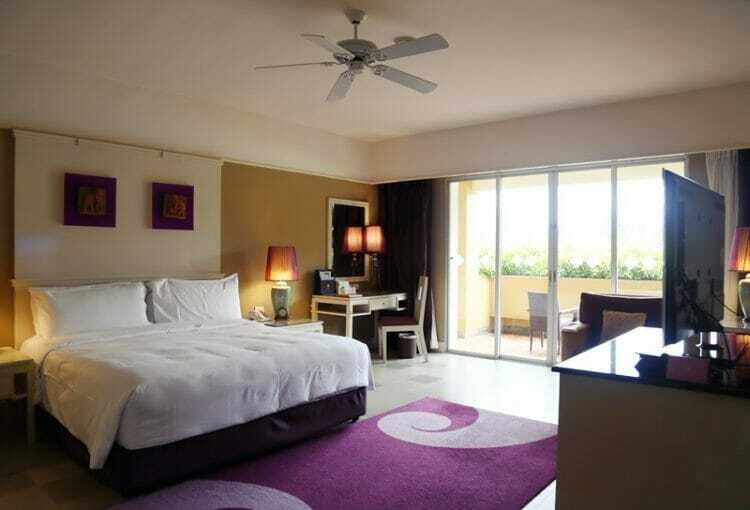 Click here to check availability and rates at Angsana Laguna Phuket or head on over here to check out some other highly rated accommodation options in Phuket. I recommend staying on Bang Tao, Surin or Kamala Beach. I hope this list of unique Phuket tours gives you an idea of things to do if you’re visiting southern Thailand, and is helpful when you do your Thailand travel planning! For even more Thailand travel tips and guides head on over here. I was a guest of the Tourism Authority of Thailand during a hosted press trip. However, no compensation was received for this article, and as always, the opinions on Yogawinetravel.com are (and always will be) my own! I only recommend products, services and hotels that I have had positive personal experiences with.